Course leaders and participants, including COEC community advisory board members and leadership. 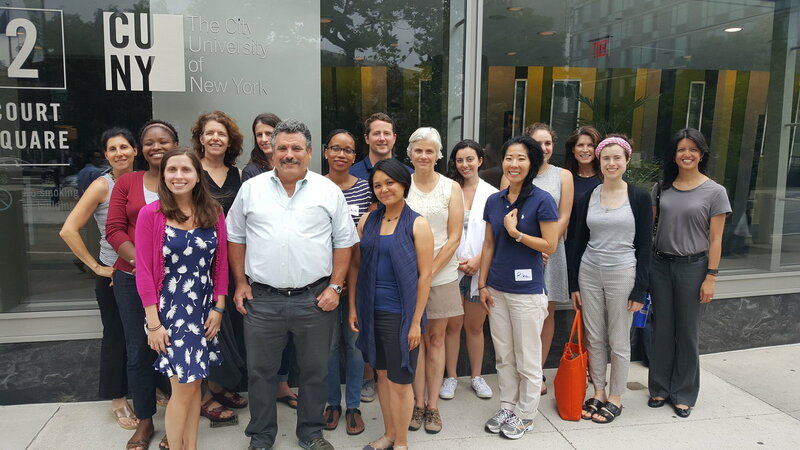 Included in this photo are COEC staff: Dr. Maida Galvez and Rachel Manning; CELF staff: Alan Cass, Aimee Arandia Østensen and Katie Ginsberg; CUER/CUNY staff: Rebecca Bratspies. 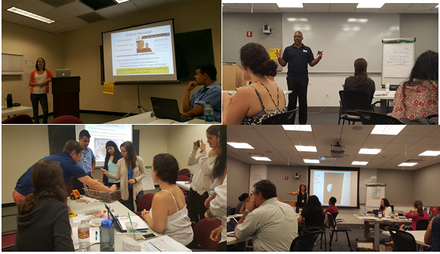 From July 12-14, Mount Sinai COEC staff and community advisory board members led a three-day course titled “Citizen Science and Social Justice in Your Neighborhood,” a professional development session for elementary, middle and high school teachers. This three-day course brought together experts in environmental health, law and policy, environmental protection, and education to help teachers incorporate citizen science and environmental health topics into their classroom lessons. Several investigators from Mount Sinai’s P30 Center participated, as well as COEC partners from the NYC Department of Health and Mental Hygiene, The Children’s Environmental Literacy Foundation (CELF), and The Center for Urban Environmental Reform (CUER) of CUNY Law School. COEC staff and community board members presented on topics including pediatric environmental health, health data tools, DNA replication, epigenetics, preterm birth, and environmental justice. This course was developed and facilitated by the Children’s Environmental Literacy Foundation, and the sessions were hosted at both CUNY Law School and Mount Sinai. To view more information about the course, including presenter profiles and course outline, please click here. This entry was posted in Feature of the Month on July 19, 2016 by mountsinaitceee.